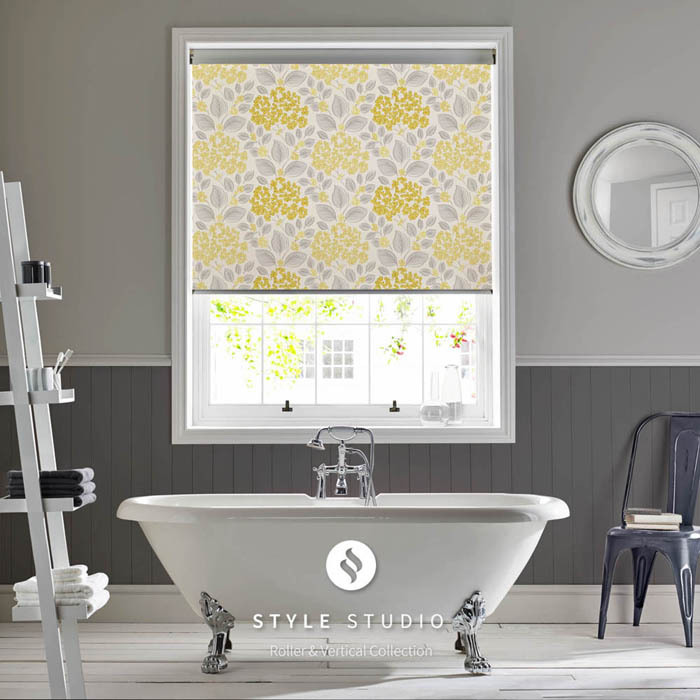 Our Inshade Sail blinds are especially perfect to be fitted in the Spring and Summer time of the year. They are a one of a kind addition that you can add to your conservatory. Inshade Sail Blinds come in all shapes and sizes, allow them to be perfectly fitted onto any conservatory roof. 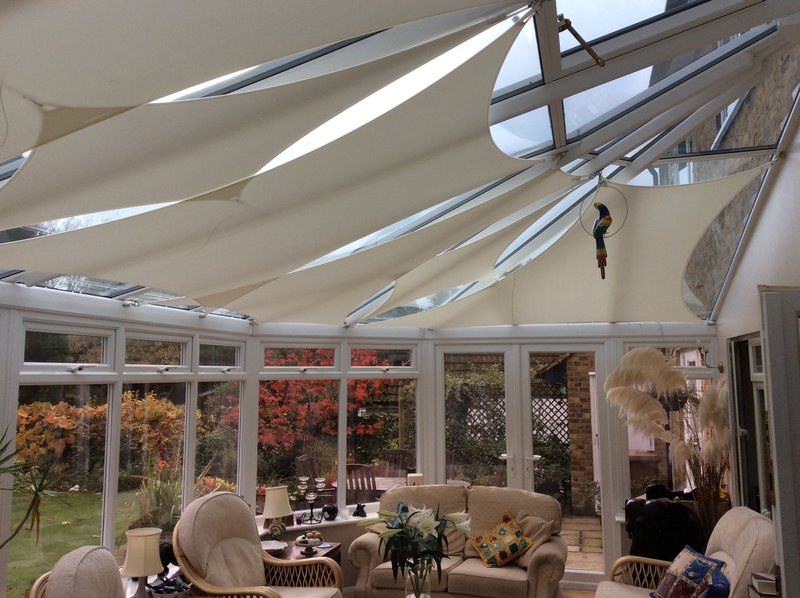 High quality, multi-purpose inshade sails to fit all windows on conservatories. Adds a stunning appeal to your conservatory whilst offering heat efficiency! 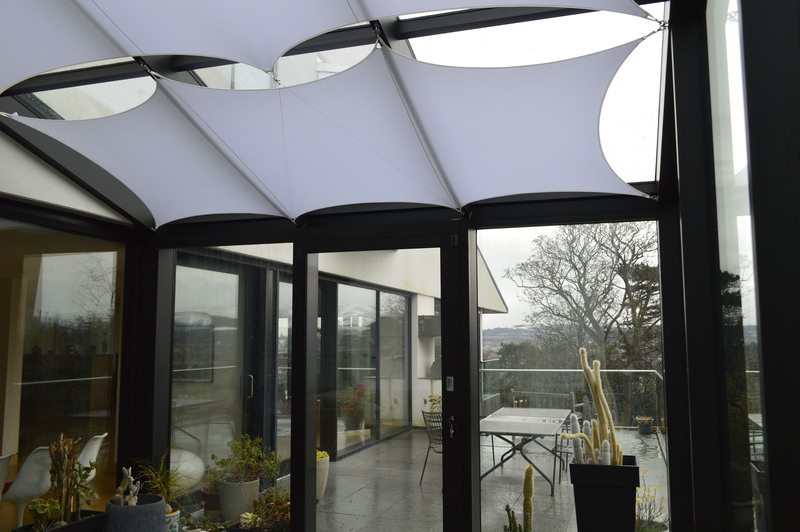 Our inshade sails are made out of energy efficient fabric, reflecting bright sunlight! Your Conservatory just too Hot to Enjoy? 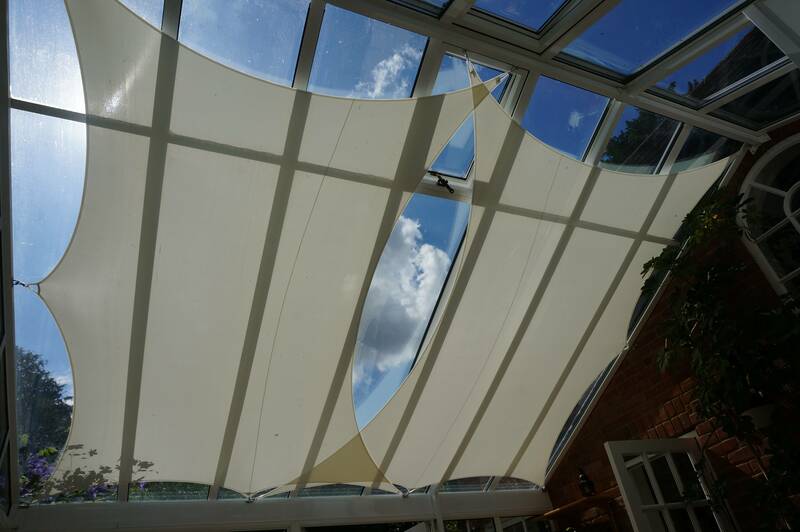 Thanks to its specially designed ISX fabric, our Inshade Sail Blinds are incomparable to any other solution for keeping your conservatory cool throughout the summer. Inshade Sail blinds are proven to diminish heat build, all the way up to 74% of it – all whilst entirely removing sun glare. Our Inshade Sails provide the best heat prevention for your conservatory in three main ways, providing shade, removing heat gain and better ventilation. Not only do our sail blinds provide you with maximum heat prevention, but they are also extremely affordable. Why not give us a call today!. 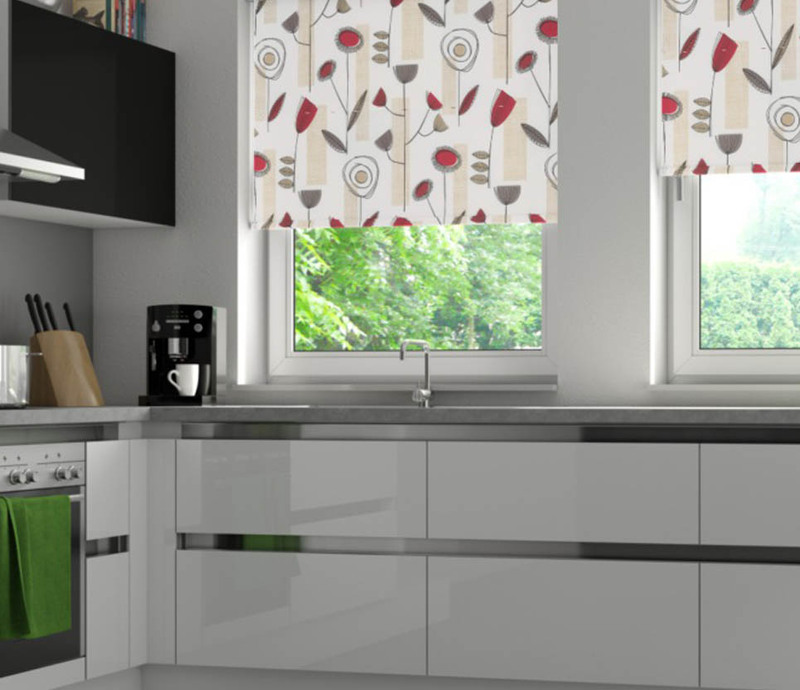 Blinds in Harmony - Blinds Specialists for over 20 years! We have over 20 years of experience in the blinds and curtains industry, giving you peace of mind that we will always provide you with high class Inshade Sails and only the best customer satisfaction. You only need to follow a simple process when it comes down to cleaning our Inshade Sail Blinds. Over a long period of time, dust will, unfortunately, start to form on the sail blinds, or maybe your little one has somehow poured a drink up there! If so, you can simply chuck them into a washing machine to bring it back to its full performance and look. Have your own conservatory? 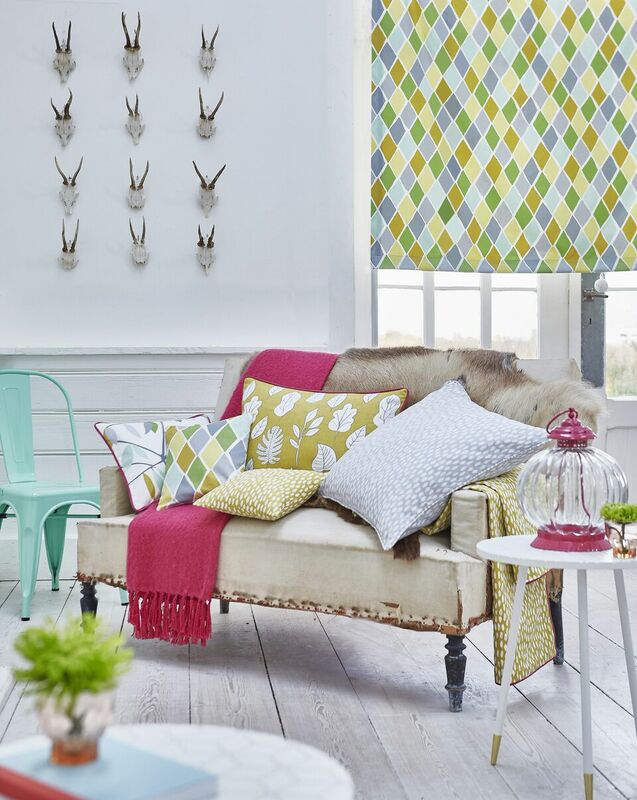 Why not make the choice and get yourself some stylish Inshade Sails today with us at Blinds in harmony. Give us a call on 0800 0282942, we’re always happy to help!